Spring Into Action With a Greenhouse Sew-In! 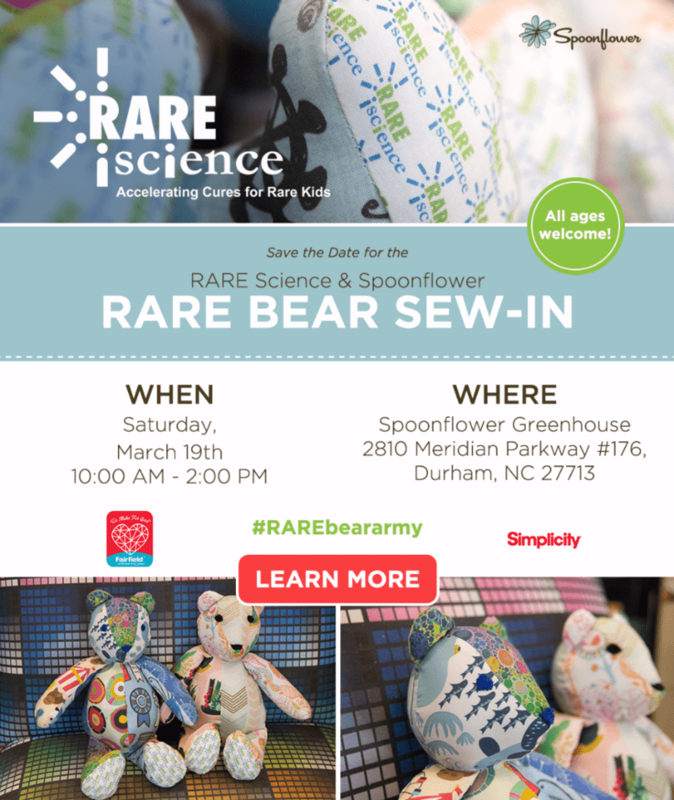 This spring, we are thrilled to announce that Spoonflower will be hosting a RARE Bear sew-in at the Greenhouse to support RARE Science! RARE Science is a national non-profit that helps find cures for kids with rare diseases. The RARE Bear program is a grassroots community-driven outreach initiative for kids with rare disease. Community volunteers create one-of-a-kind teddy bears for one-of-a-kind “rare kids." We couldn't be more excited to be joining the RARE Bear army! [Read more…] about Spring Into Action With a Greenhouse Sew-In!